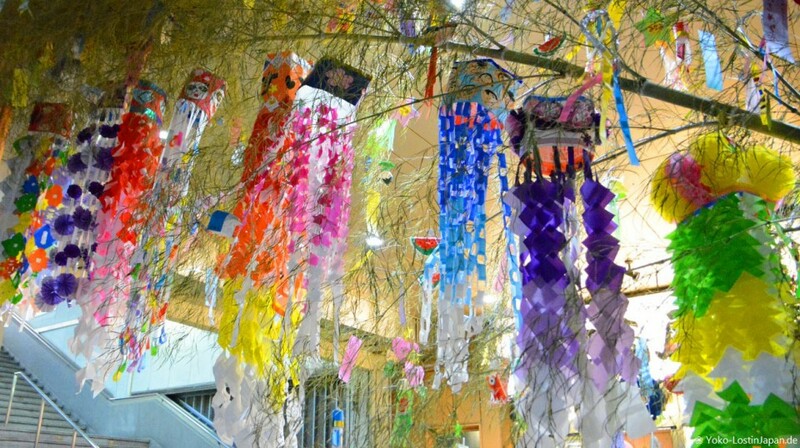 Tanabata is a festival celebrated every year throughout Japan, in a bigger or smaller way. This year I was able to visit the Tanabata Festival at Hashimoto, our chosen hometown in Japan, for the first time and came away suitably impressed, furnished with fond memories of this most fleeting of celebrations. Tanabata (七夕), literally meaning the "seventh evening", is better known as the "Star Festival" and traces its origins to China. The festival tells the story of Orihime (織姫) and Hikoboshi (彦星) who represent the stars Vega and Altair which are normally separated by the Milky Way, only able to meet once a year, around the time of Tanabata. According to the Japanese folktale, Orihime, a gifted weaver, and Hikoboshi, a cow herder, fell in love and started to neglect their duties because of this. Tentei (天帝), the father of Orihime and "Emperor of the Sky", was so angered by this that he separated the two lovers. As long as they keep working hard, however, he allows the pair to meet one time every year, Tanabata. 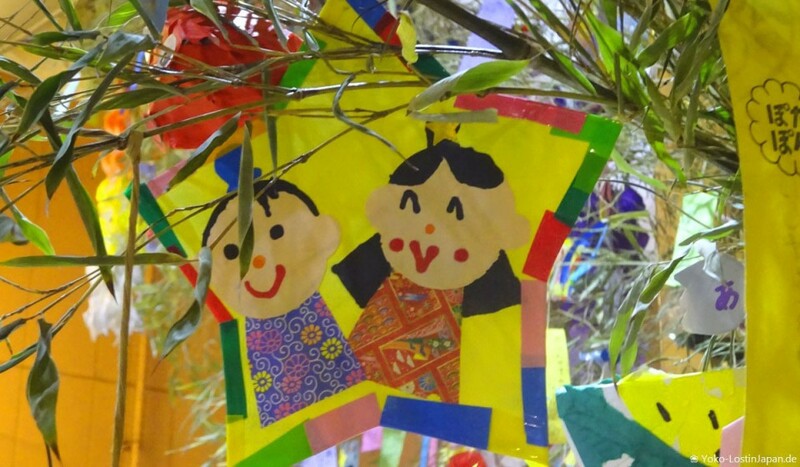 The festival typically takes place on July 7, the seventh evening of the seventh month, however, some regions of Japan celebrate Tanabata around August according to the Japanese lunar calendar. 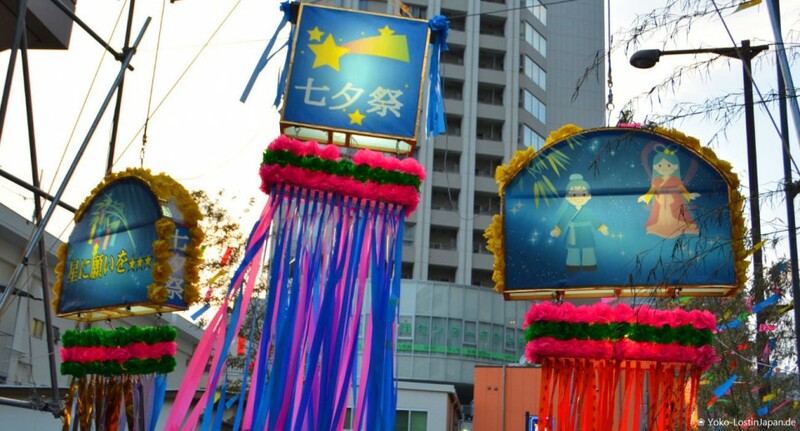 The most famous Tanabata festivals in Japan are held in Sendai, Hiratsuka (Kanagawa) and Asagaya (Tokyo). The festival might be fleeting but the traditions linger. One of the most common is the writing of wishes on small pieces of paper known as tanzaku (短冊) which are then hung on bamboo trees. Opportunities to pen wishes in this way can be found all around the city in the days leading up to the festival. Areas hosting Tanabata festivals are commonly decorated with large, colorful streamers called fukinagashi (吹き流し), and other decorations line the streets. The Hashimoto Tanabata Matsuri (橋本七夕まつり) took place for the 66th time this year, a testament to the event's long history. The main celebrations were held from August 4 to 6, however much earlier, from the beginning of July, the first decorations for the festival around the station building could be spotted. The three-day festival had a timetable filled with programs starting around 2 pm, continuing into the late evening. Several stages around the station area were host to a variety of music and dance performances, with more performers on the streets adding to the magic. The streets were decorated brightly and a myriad of stalls sold food typical of a Japanese festival. Walking around the evening-lit streets the festival gave off an atmosphere that really is unique to Japan. Some people were even wearing yukata, lighting up the festival atmosphere even more. The Tanabata Yukata Fashion Show on the Friday evening was one of the highlights of the festival, during which local children and parents presented all kinds of colorful summer kimono. There was even a hair styling performance. Outside on the streets several dance groups performed, with the traditional Yosakai Dance, lively as always, bolstering the spirits. Next to the young dancers, this festival goer was particularly impressed by the group of elderly women dancing on the street. 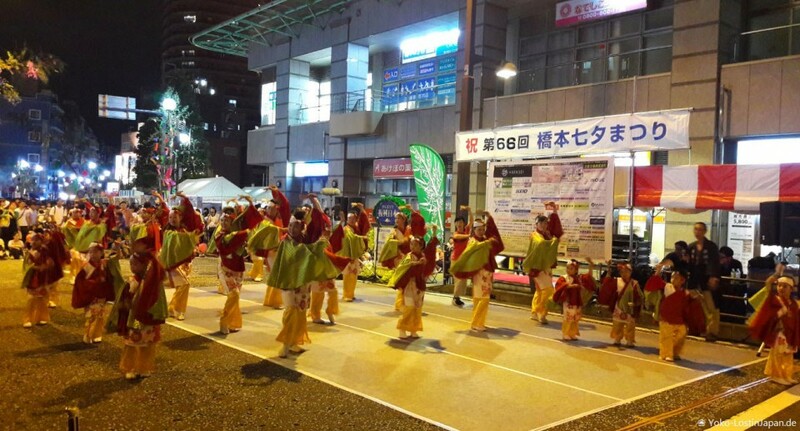 The Saturday evening saw a small bon odori take place, with more dancing, this time around a stage, accompanied by energetic taiko drummers. Hashimoto Tanabata Matsuri and others like it across Japan are something to be cherished, not only for the traditional performances and delicious food, but also for an atmosphere in which relaxed, happy people really light up the heart. Something to hold on to as the summer here in Japan draws to a close and autumn sets in. Like the story of love behind the festival, it's all too fleeting, but if we keep working hard, there will always next year.